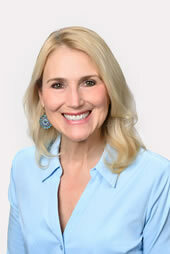 MY NAME IS LINDA WILLER, a real estate agent with RE/MAX Affinity Group located in Charlottesville, Virginia. I welcome the opportunity to assist you in your home search. You will find me to be a highly organized and professional agent who will treat you and your family with the utmost respect and honesty. You will also find that I work hard for my clients and will do my best to be available for you, to answer all your questions, to help you find a home in the shortest time with the least inconvenience to you, and to stick with you all the way to the closing table. I am an Accredited Buyers Representative (ABR), which means that I have had additional training specifically designed to target the needs of the buyer. I am also a Certified Residential Specialists (CRS). The Certified Residential Specialist (CRS) is the highest Designation awarded to sales associates in the residential sales field. The CRS Designation recognizes professional accomplishments in both experience and education. Answer all your questions in a timely fashion. Notify you when homes within your search criteria hit the market. Be available – I realize we all have busy schedules, so I will do my very best to work around your schedule. Assist you in putting together a good offer when you do find a home. Advise you throughout the entire home buying experience. I AM AVAILABLE – Call or email me anytime. If I don’t answer the phone, leave me a message and I will get back to you as soon as possible. You will find my service to be prompt, courteous, friendly and professional.